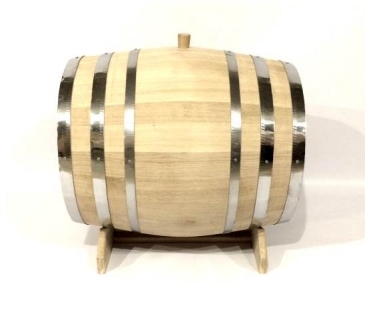 - One set includes: 100 litres oak barrel with stainless hoops, oak tap, oak bung and oak stand. - Medium plus toasting level inside. Other toasting/charring level upon request. - Finish: coated with natural linseed oil outside (uncoated barrels - natural oak finish upon request). 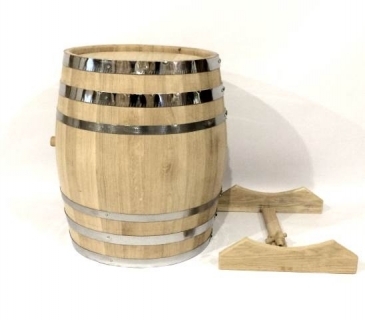 - Dimensions: 64*56*56 (64 cm with stand). 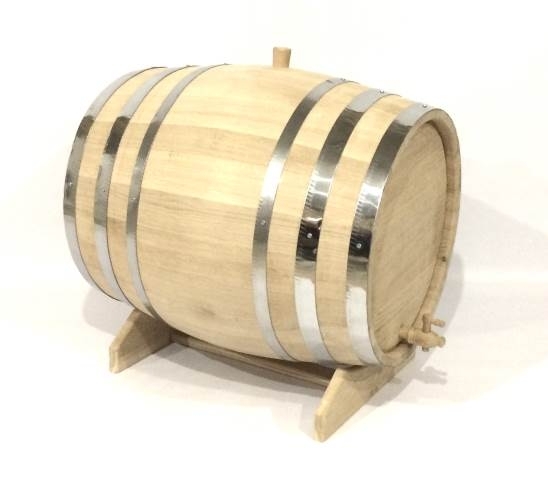 Please, read the instruction of how to store and prepare oak barrel before use. UK Mainland delivery time is 3-5 days. We deliver our products within Europe and normally it takes 7-10 days to deliver your order.